Zppix renamed T4282: certificate for tinutulpadurenilorwiki from ceritificate to certificate for tinutulpadurenilorwiki. Zppix added a comment to T4267: Enable the signature button on non-talk namespaces. Can you confirm wether or not it is working now @Wedhro? GitHub <noreply@github.com> committed R9:39223c41baf4: Merge 2a116076d339e80326f2bf271208218045c36858 into… (authored by Zppix). GitHub <noreply@github.com> committed R9:93d84caba6fd: Merge 2fe45dd71084da2b04927f28b834cd9af13187a6 into… (authored by Zppix). GitHub <noreply@github.com> committed R9:2fe45dd71084: Update LocalSettings.php (authored by Zppix). GitHub <noreply@github.com> committed R9:fba9121e0f95: Merge 9de744fa8cf113bfbeba4eb63f653f290aaf154b into… (authored by Zppix). GitHub <noreply@github.com> committed R9:9de744fa8cf1: Move setting (authored by Zppix). GitHub <noreply@github.com> committed R9:0edcf2b95861: Merge a6f28337c5ab4e10223233a71f5dcf3745947efe into… (authored by Zppix). GitHub <noreply@github.com> committed R9:a6f28337c5ab: Update LocalSettings.php (authored by Zppix). GitHub <noreply@github.com> committed R9:9cd78a60d47d: Merge 2ea23aa1ae801b367d8495c9fd42aa14fc680075 into… (authored by Zppix). GitHub <noreply@github.com> committed R9:2ea23aa1ae80: + space (authored by Zppix). GitHub <noreply@github.com> committed R9:1f990166b0ab: Fix syntax (authored by Zppix). GitHub <noreply@github.com> committed R9:ff67c8ffe1fe: Merge 1f990166b0ab7c55d51e20911ab075b24ecb1d9d into… (authored by Zppix). GitHub <noreply@github.com> committed R9:cf5cbe53e270: Merge e0c4382576e85efb552e2f2315d7277575ed0c07 into… (authored by Zppix). GitHub <noreply@github.com> committed R9:e0c4382576e8: T4267: Enable signature button in additonal NS (authored by Zppix). Zppix claimed T4267: Enable the signature button on non-talk namespaces. Zppix closed T4192: Favicon for lexlexiquewiki appears not working as Resolved. @Kletskoek No worries I get impatient to, we're only human. Zppix renamed T4192: Favicon for lexlexiquewiki appears not working from Favicon to Favicon for lexlexiquewiki appears not working. Zppix added a comment to T4192: Favicon for lexlexiquewiki appears not working. Looks like it's working to me. Zppix added a comment to T4151: FANDOM wiki user tags. I believe its a internal extension used by Wikia so I doubt we can use it, but im not 100% sure. Zppix placed T4146: Enable VisualEditor on bullshitsystems.miraheze.org up for grabs. Zppix claimed T4146: Enable VisualEditor on bullshitsystems.miraheze.org. Zppix added a member for Configuration: Zppix. Zppix added a comment to T3461: Import Existing WikiSpaces site to miraheze.org (SQLite Tools for RootsMagic). Zppix closed T2534: Enable multiple extensions on marioserieswiki.miraheze.org as Resolved. Zppix closed T3123: Warewiki favicon change as Resolved. Zppix added a comment to T3123: Warewiki favicon change. (Regarding my deleted comment, please disregard I got favicon and logo confused) Anyway the proper way to do this is to upload the favicon to your wiki and link the file page in a reply on Phabricator so I can get the favicon setup for you. Zppix claimed T3123: Warewiki favicon change. Zppix created T3131: Move Notifico hosting. Zppix added a comment to T2692: Move soverigntribewiki to Soverigntribewiki. Zppix added a comment to T2385: Enable extensions on unionnorteamericana.miraheze.org. @Wiki1776 La extensión Imgur aún debe ser revisada por la seguridad antes de que podamos usarla en Miraheze, perdón por la larga espera. Veré si no puedo hacer que alguien lo revise lo antes posible. Zppix added a parent task for T2690: Config for soverigntribewiki: T2692: Move soverigntribewiki to Soverigntribewiki. Zppix added a subtask for T2692: Move soverigntribewiki to Soverigntribewiki: T2690: Config for soverigntribewiki. Zppix triaged T2692: Move soverigntribewiki to Soverigntribewiki as High priority. Zppix created T2690: Config for soverigntribewiki. Zppix awarded T2099: [Access Request] Request mw-admin rights for Zppix a Heartbreak token. Zppix closed T2540: ReplaceText extension as Resolved. Zppix claimed T2540: ReplaceText extension. Zppix added a comment to T2539: restrict access. Zppix claimed T2539: restrict access. Who do you want to allow to create accounts? Zppix added a comment to T2464: Extension for shortwikiwiki(https://shortwiki.miraheze.org). Zppix added a comment to T2045: IRC statistics page for #miraheze. 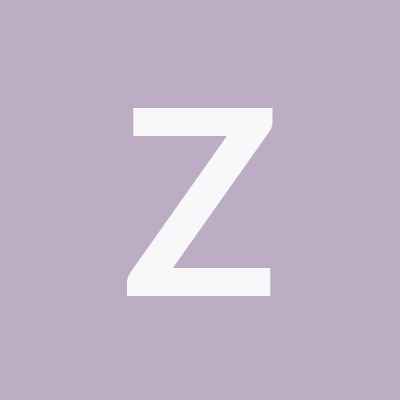 Zppix added a comment to T2099: [Access Request] Request mw-admin rights for Zppix. Zppix closed T2253: Enable VisualEditor on sea.miraheze.org as Resolved. GitHub <noreply@github.com> committed rSERV4a5b8affe12a: T2253: enable Parsoid for seawiki (authored by Zppix). Zppix claimed T2253: Enable VisualEditor on sea.miraheze.org. Zppix closed T2230: Requests for lfwikiwiki as Resolved. Zppix added a comment to T2205: Enable VisualEditor, Flow and other changes on earthian.miraheze.org. GitHub <noreply@github.com> committed rSERV0d44d6eab7ac: Merge 6cbf912ee77e9bd13cfe58e9373662749b347809 into… (authored by Zppix). GitHub <noreply@github.com> committed rSERV6cbf912ee77e: T2230: parsoid for lfwiki (authored by Zppix). Zppix added a comment to T2230: Requests for lfwikiwiki. Zppix renamed T2230: Requests for lfwikiwiki from Requests to Requests for lfwikiwiki. Zppix claimed T2193: Enable Extension:SyntaxHighlight on isnstjust.miraheze.org. GitHub <noreply@github.com> committed rSERV811a00768681: Merge 8a4e0e8c7be262a87d7b06cf70dd9f43ec769c1a into… (authored by Zppix). GitHub <noreply@github.com> committed rSERV8a4e0e8c7be2: T2187: Parsoid for VE config for hellointernetwiki (authored by Zppix). Zppix reassigned T2187: Requesting extensions for hellointernet.miraheze.org from Zppix to labster. Zppix claimed T2187: Requesting extensions for hellointernet.miraheze.org. Zppix added a comment to T1404: Visual editor template SVG issue. Ok, so I can reproduce this locally now. Upstream says: See my response from above. The MediaWiki API at meta.miraheze.org is telling Parsoid that the thumbwidth and thumbheight should be 150px. Zppix closed T2127: Update Logo for eyebobs wiki as Resolved. If you have any other requests, or bugs, please open another ticket. Zppix added a comment to T2127: Update Logo for eyebobs wiki. Can the 294 x 240 image size be used instead of the full res file? I can load the logo somewhere else if you like? Zppix claimed T2127: Update Logo for eyebobs wiki. Zppix closed T2115: Add VisualEditor as Resolved. GitHub <noreply@github.com> committed rSERV9fe50fcc2ba5: Merge 99fefdd6176fa96bde3806986ba13269e15d2d91 into… (authored by Zppix). GitHub <noreply@github.com> committed rSERV99fefdd6176f: Enable for eyebobs wiki per T2115 (authored by Zppix). Zppix claimed T2115: Add VisualEditor. GitHub <noreply@github.com> committed rSERV64c894ea6b75: Add cdcwiki per T2122 (authored by Zppix). Zppix closed T2120: Logo and favicon as Resolved. Zppix closed T2122: Visual Editor & Semantic as Resolved. Zppix claimed T2122: Visual Editor & Semantic. Zppix claimed T2120: Logo and favicon. Upstream says it may be parsoid, so they are investigating now. @Reception123 seeing as i am also a upstream contributor (mainly) that should be accounted for?? Zppix moved T2099: [Access Request] Request mw-admin rights for Zppix from Radar to Access on the Operations board. Zppix created T2099: [Access Request] Request mw-admin rights for Zppix. I will file an upstream task, keep this one open as I will update here aswell. Zppix closed T2087: ConfirmAccount extension as Declined. Extension is incompatible with our tech setup sorry. Zppix removed a project from T2087: ConfirmAccount extension: Extension-Review. Zppix added a project to T2087: ConfirmAccount extension: Extension-Review. Zppix closed T2086: VisualEditor for wustlnsgywiki as Resolved. GitHub <noreply@github.com> committed rSERV6ca5a8938a53: Merge e0e4b72dc1114c9dde37ae6a564763d61b77feab into… (authored by Zppix). GitHub <noreply@github.com> committed rSERVe0e4b72dc111: Add wustlnsgywiki to parsoid for VE per T2086 (authored by Zppix). Zppix renamed T2086: VisualEditor for wustlnsgywiki from VisualEditor to VisualEditor for wustlnsgywiki. Zppix closed T2076: Request to disable anonymous editing and restrict anonymous user tool access for utamacross.miraheze.org as Resolved. Zppix claimed T2086: VisualEditor for wustlnsgywiki. Zppix claimed T2076: Request to disable anonymous editing and restrict anonymous user tool access for utamacross.miraheze.org. Zppix added a comment to T2074: Make template namespaces support subpages. As far as i can tell your wiki is able to have template subpages, so Im still not sure why this task was created, if you could give me the steps to reproduce whats not allowing you create subpages that would be helpful. Zppix changed the status of T2074: Make template namespaces support subpages from Open to Stalled. Zppix claimed T2074: Make template namespaces support subpages. That should be able to be done by default. Irregardless, we need wikiname and/or url to do anything in the future.